Newcastle players Mathieu Debuchy and Yohan Cabaye are with the French squad in South America, and could play today in the game with Uruguay. Mathieu Debuchy – eyed by Monaco? France have a two game mini tour in South America, with their second and final game against Brazil on Sunday, June 9th, and French manager Didier Deschamps has said he will play two separate sides against Uruguay and Brazil, so players will start only one game. Cabaye has been linked already this summer with PSG and Monaco, and his best friend 27 year-old Debuchy has also been linked with Monaco yesterday. The French club have just been promoted and are owned by a Russian Billionaire, and they have already spent over £100M on three players this summer – is football going mad or is it just me? 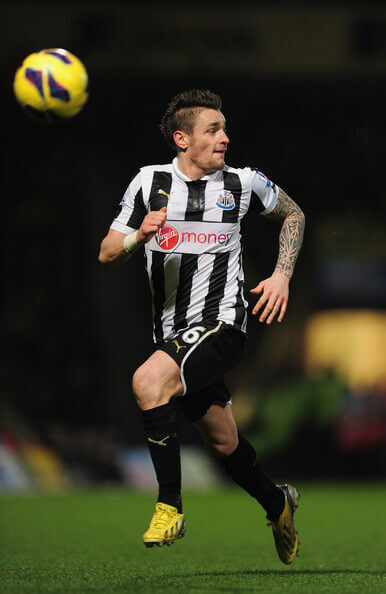 Debuchy joined Newcastle from Lille for £5.5M in January, and he played some good games and had some rough games for Newcastle, as he tried to adjust to the faster and more physical nature of the game in England. Yoan Gouffran, Massadio Haidara, Mapou Yanga-Mbiwa and Moussa Sissoko joined him at Newcastle in the week following our disastrous defeat to Reading 2-1 – so Newcastle already have five new players this year, and they have the advantage of now having already experienced football in England, and should be a lot better next season. Newcastle will bring in at least a striker and a center-back this summer, plus a number of top youngsters. But it seems that Mike Ashley will hang onto his top players, and will only sell for ridiculous fees – but Monaco have already shown they are capable of paying out silly money this summer for players they want. Can see it now from the lazy hacks. Debuchy to leave, Simpson to stay now Tulisa Constantcontrolfreak has dumped him! lots of rumours or outgoings not many of incomings. Morning Torq…visiting France these days? i’ll place a bet monaco wont sign any of our french players lazy journalism … psg and monaco have money and are french therefore must be after french players … look newcastle have got loads! french players who sign for monaco wont get tax free earnings …. how long till they’re linked with benzema hazard sissoko ribery … just bs methinks and i hope they do a tri color version of qpr! besides debuchy would not go he’s just come here and has not even settled yet. Brad Inman cam or winger? I think we’ll see him vukic fergie Campbell Bigi and possibly good/streete being named aa fringe 1st teamers so it wouldn’t surprise me if we only signed as predicted 1 cf and 1 cb. Unless any of dekkas purples get sold or they’ve sniffed out some proper bargains. Yeah I agree, I wasn’t suggesting Debuchy will leave.. just a hypothetical idea! All eerily quiet at my end mate. Very busy last week and some excellent news with regards one of our priority targets. But whilst things are a tad rough on here I’m not going to name names just yet. Getting bored with the press linking a different player away each day! Such lazy journalism. Debuchy is probably being summoned for a severe rollocking for suggesting we might be playing at the top of the table he might even totally over step the Mark and mention that he would like to see some fresh faces. is it a priority signing we would be excited about … or more like pearce? Talk…I would probably have to say thanks but no thanks! …this season for me is all about upgrating our fringe or if you will squad players; the likes of Raylor, Perch, Gos, Amalfi, Shola and Ober. We need better squad players it is as simple as that. Players like Fergy, Ameobi, Bigi, Haris and Tav don’t seem to be. anywhere near ready for first team football. The need to go out on loan to the right club with the right setup. This probably goes for other youngsters at the club as well. A huge problem for Newcastle over the past two seasons have been Pardew have had a favorite starting 11. And when injuries have hit us he has been clueless about what to do and who to play. In his defense though most of the players mentioned above have failed him; but it is not their fault entirely. Newcastle is to blame I think. Yeah, Oba, Fergi, Ameobi(s), Tav… the list goes on, crap development with the club.. nowhere near the level of which they were talked about this time last season. 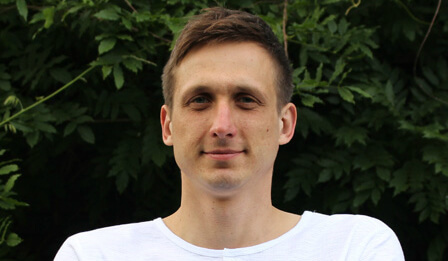 Debuchy will not leave in the summer. However, if we have a bad start to next season he’ll be one of many wanting to leave in January. I just wish someone could bypass Llambias and get Ashley to understand that running a football club is not like running any other business. The players want to be associated with well run successful clubs with a modicum of ambition. If NUFC do not show that ambition with decent signings in the summer, then good players will leave and we’ll be left those who really can’t get a place elsewhere. I too think Yohan and Debuchy will stay. players when other clubs are interested in them. up cheaper for that reason.